This week on the Pynes House Blog we’re offering you some seriously swoon-worthy wedding inspiration. We’ll be showing you how you can effortlessly create an enchanting secret garden wedding theme using the prettiest of colour palettes: pink, green and ivory. This wedding theme is elegant and romantic with just a subtle dash of magic. Inspired by Pantone’s Colour of the Year for 2017, greenery is the hottest wedding trend of the year and it looks like it’s here to stay. You can use it in abundance with this charming wedding theme and it’ll help to give your big day a modern edge. Use leafy foliage garlands to line the length of your wedding tables, or opt for green wreaths as alternative chair covers. Using wild, foraged-style greenery will also help to give your wedding a natural, organic vibe that will fit beautifully within the surroundings at Pynes House. Bridal bouquets brimming with trailing Ivy and foliage are also a key wedding trend for the year ahead. Let’s move onto your marvellous team of ‘maids! This delightful colour scheme lends itself perfectly to your bridesmaids, as there are lots of lovely colours for your best girls to choose from. 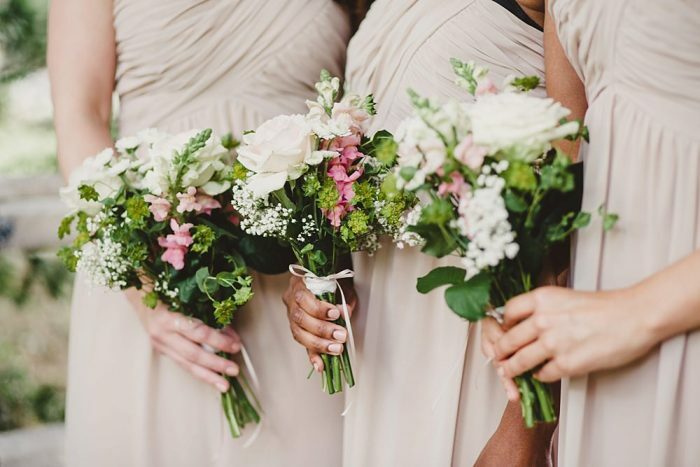 For instance, you could follow the mix and match trend by dressing your bridesmaids in a variety of ivory, blush pink and sage green gowns. On the other hand, you could team pretty white gypsophila or rose-pink bouquets with pale green gowns. The options really are endless! Blooms are a beautiful way to decorate your wedding venue and they can be a subtle nod towards your enchanting secret garden wedding theme. For instance, glass mason jars filled with greenery and dusty pink flowers would look wonderful tied to the chairs at your ceremony. You could even wrap the jar with a delicate lace ribbon for an extra hint of elegance. 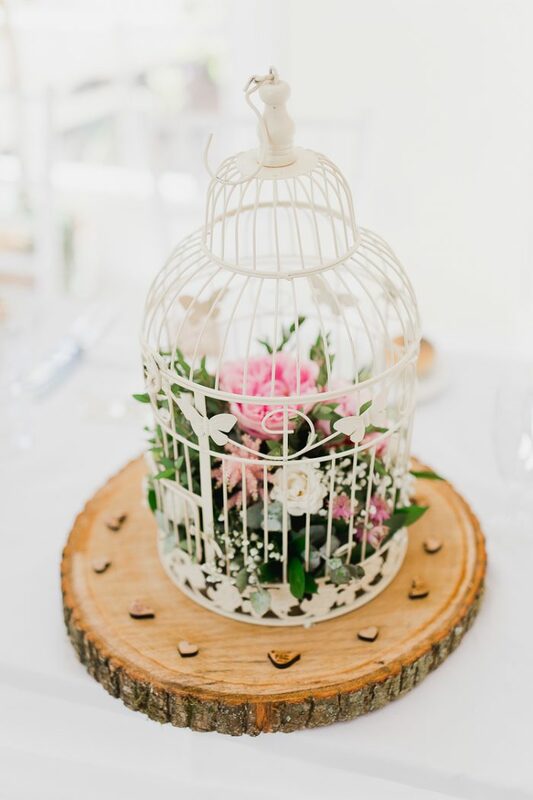 When it comes to your wedding centrepieces, vintage-inspired ivory birdcages filled with wild foliage, lots of pink posies and a handful of ivory flowers would look gorgeous. Simply place a birdcage in the middle of a round wedding table and we can promise you that your guests will adore the idea. Add a touch of luxe to your wedding day by filling an oversized golden vase with your favourite pink and ivory flowers – it’ll be the perfect combination of glamour and elegance, and it’s guaranteed to make a statement. If you want a centrepiece that’s romantic yet minimalist, we recommend sourcing a variety of glass vases of all different heights and sizes. 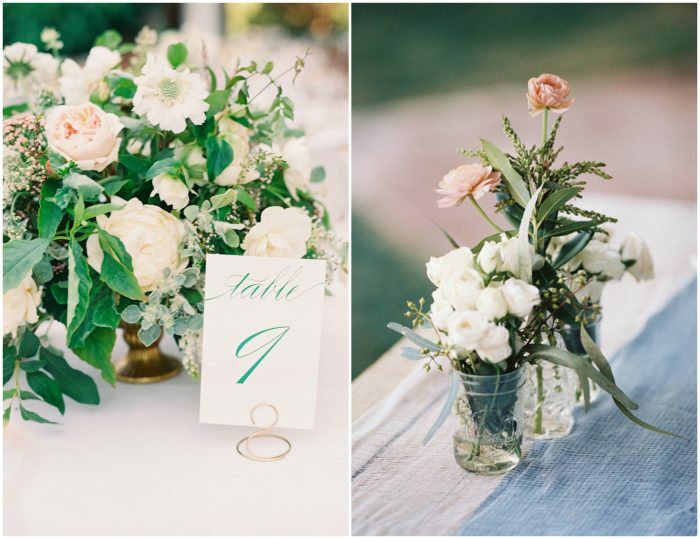 Pop a few pink, white and green flowers in each vase and place them along your wedding tables. This modern style would also look lovely dotted along the windowsills and fireplace of your venue. 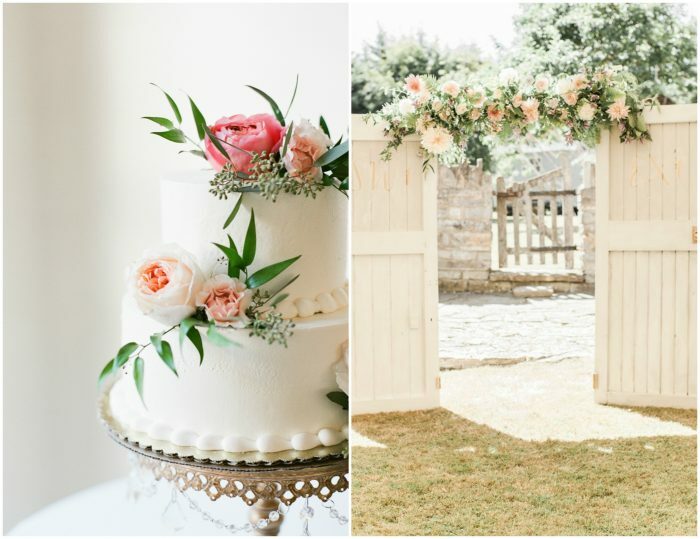 An enchanting secret garden wedding theme really is one of the prettiest choices out there, and it’s the perfect theme if you adore all things floral. From your wedding cake to your ceremony backdrop, we recommend using flowers and greenery in abundance to make the most of your venue and this dreamy wedding theme. Feeling inspired? 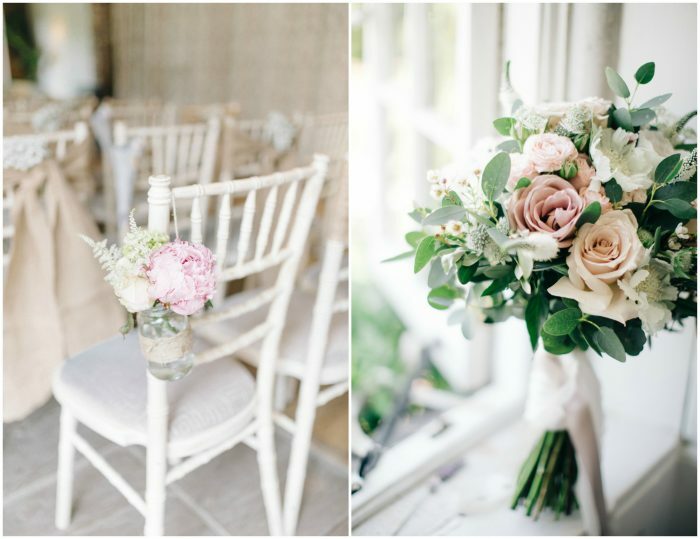 Don’t forget to take a lot our wedding theme ideas and styling advice over on the Pynes House Blog.